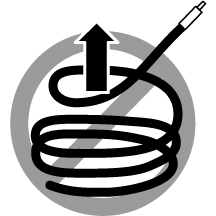 Do not uncoil the cable, as a kink might occur. 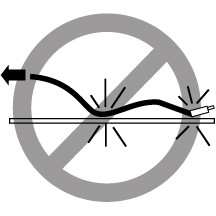 Hold the coil closed as you unroll the cable, pausing to allow the cable to relax as it is unrolled. 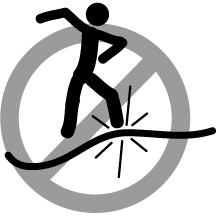 Do not step on the cable or connectors. Plan cable paths away from foot traffic or rolling loads. 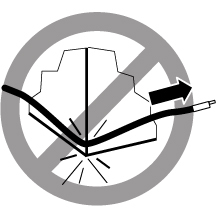 Do not pull the cable out of the shipping box, through any opening, or around any corners. Unroll the cable as you lay it down and move it through turns. 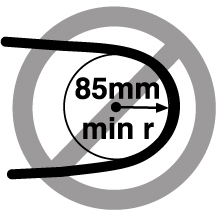 Do not bend the cables to a radius tighter than 85 mm (3.4 inches). Ensure that cable turns are as wide as possible. 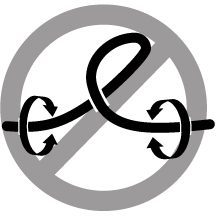 Do not twist the cable to open a kink. 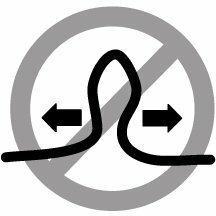 If it is not severe, open the kink by unlooping the cable. Do not pack the cable to fit a tight space. Use an alternative cable route. 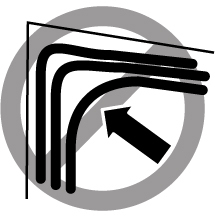 Do not straighten the cable to correct a bend that is too tight. Leave the cable bend as is. 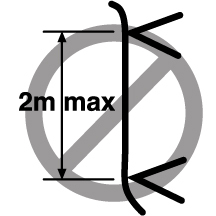 Do not hang the cable for a length more than 2 meters (7 feet). Minimize the hanging weight with intermediate retention points. Do not drop the cable or connectors from any height. Gently set the cable down, resting the cable connectors on a stable surface. 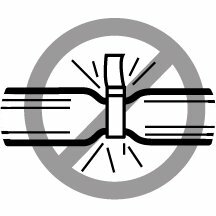 Do not cinch the cable with hard fasteners or cable ties. Use soft hook-and-loop fastener for bundling and securing cables. 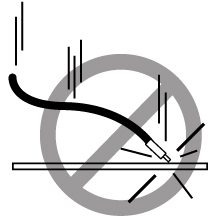 Do not drag the cable or its connectors over any surface. Carry the entire cable to and from the points of connection. 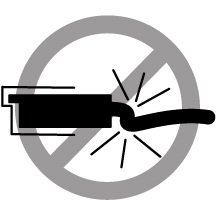 Do not force the cable connector into the receptacle by pushing on the cable. Apply connection or disconnection forces at the connector only.